Microsoft Surface: Wi-Fi Only at Launch? We may have an answer to one of the big questions about Microsoft's Surface. The software maker's tablets will be available only with Wi-Fi at launch, according to an online report. That's bad news for road warriors hoping to pick up a Surface with wireless broadband access for business trips, but maybe the wait for a Surface with built-in 3G or LTE-connected Surface won't be long. It's unclear what Microsoft's plans are; nevertheless, Bloomberg cites two “people familiar with the matter” who say Surface will "initially go on sale without a connection to mobile-phone networks.” Did you catch that? Surface reportedly won't have 3G or LTE connectivity built in when it initially goes on sale. That sounds to me like Microsoft may release the ARM-based Windows 8 Surface tablet, dubbed Surface for Windows RT, as a Wi-Fi-only tablet in the fall. Then the more high-powered Intel-based Surface for Windows 8 Pro would follow a few months later with mobile connectivity baked in. That's speculation, but it seems logical. Surface RTis designed for home users. It will run on an ARM processor, have slower USB 2.0 ports (Surface Pro supports USB 3.0), and 32GB or 64GB of storage. Most people buying this device are looking for the basics: e-mail, Web browsing, online videos, social networking, and some basic desktop programs (Word, Excel, rudimentary photo editing). More often than not, home users don't take their devices beyond their front door. And when they do it's usually to a Starbucks, airport, or college campus where Wi-Fi networks are available. Adding Wi-Fi connectivity through a MiFi or other mobile hotspot or USB plug-in device is an option for the early Surface user who wants more. It's an added expense, but the Surface user has the choice of using a USB device, unlike with the USB-less iPads. Surface Pro, on the other hand, will be better equipped for professionals who need a machine they can take to job sites. These users also tend to need Internet access even if a Wi-Fi network isn't present. Important specs for Surface Pro include a faster Intel Core-i processor, larger storage capacity (up to 128GB), USB 3.0, microSDXC reader, and digital pen technology (for graphic artists and others who are into that kind of thing). Surface Pro is the machine you want in order to work, at least based on the specs, and it would be a strong candidate for a mobile connectivity option. Microsoft hasn't announced any launch dates for Surface other than to say Surface RT will be available during the Windows 8 launch. Surface Pro will be available about three months later. 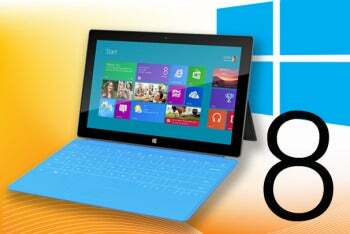 Windows 8 is generally expected around October or November, which would put the Surface Pro release in early 2013. January or February is safely outside the "initial" sales period for the Surface RT in late 2012. So perhaps the real story shouldn't be "Surface will be Wi-Fi only at launch," but "Surface RT will be Wi-Fi only?" It's a guess, but it's logical.